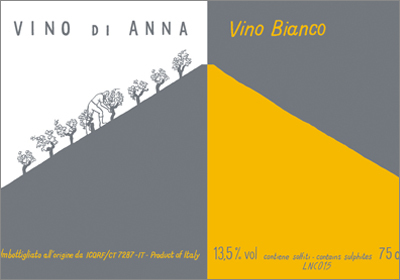 Vino di Anna Bianco “G” 2016 is the second 100% Grecanico white wine we have made. 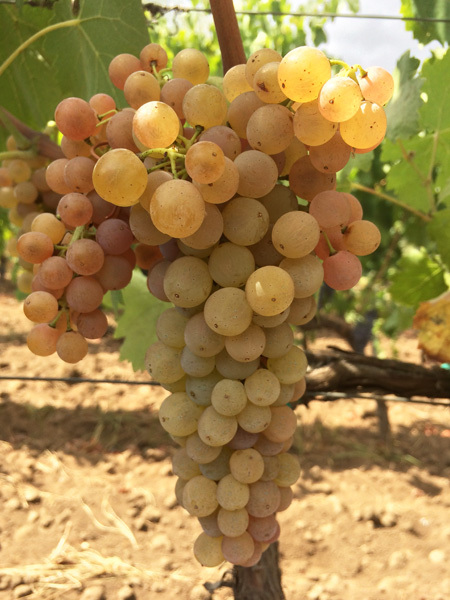 Organically grown Grecanico grapes were hand harvested from numerous old vineyards high on the north face of Mt Etna during the second half of September. The average age of the vines is 60 years old. The grapes were whole bunch pressed into a small stainless steel tank. No SO2 was added. Fermentation was spontaneous and the temperature was not controlled. The wine underwent malolactic fermentation. It was left on light lees for 12 months prior to bottling in November 2017. A miniscule amount of SO2 was added prior to bottling. The wine was not fined or filtered. 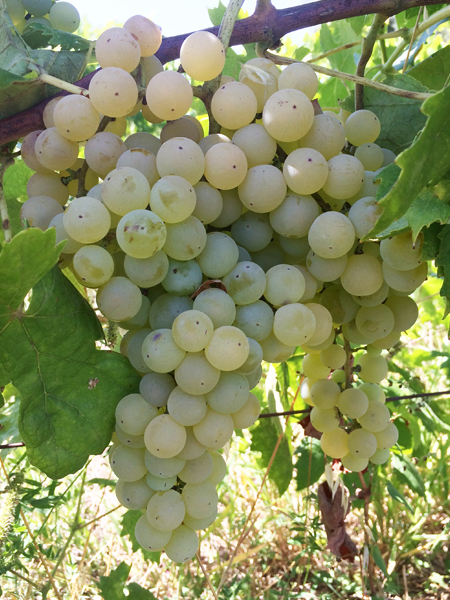 Pale straw in colour, this wine has zingy, citrus notes of limes and grapefruit. The palate is fresh and lively, with a high acidity. The citrus flavours are coupled with white flowers and an underlying minerality and sapidity, arising from the volcanic soils. 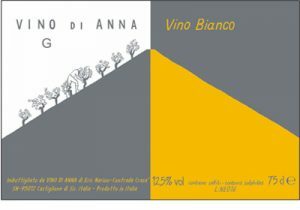 Vino di Anna Bianco “G” is a small bottling (600 bottles in total) of organically grown Grecanico. Grapes were hand harvested from numerous old vineyards high on the north face of Mt Etna. They were whole bunch pressed into stainless steel. No SO2 was added. Fermentation was spontaneous. The wine was left on light lees for 9 months prior to bottling in July. The wine was bottled and labelled by hand, un-fined and unfiltered. Pale golden in colour with tropical notes (white peach, apricot) coupled with white flowers. Light-medium in body, with flavours of yellow apples and ripe citrus with an underlying minerality typical of whites from Etna.